A luxury property located in a calm area near the Futuroscope theme park of Poitiers. 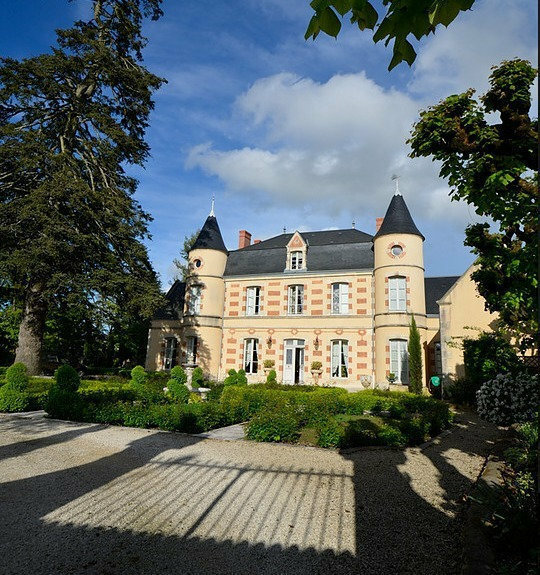 Entirely renovated according to the latest housing standards, this Castles is located on an enclosed lot of 3615Sqm planted with trees and a French garden. The main residence is of approximately 500Sqm. It is composed of: On the ground floor, approximately 197Sqm  a back kitchen, a 41Sqm American kitchen, a fitted tower, a 57Sqm dining room, a 23Sqm living room, a reception room with a staircase, a hallway, independent WC, a linen room and a lift in the second tower allowing the access to the first and second floors. On the first floor: a small living room, a 28Sqm master suite, a children's room, a guest room, two dressing rooms and two bathrooms  one of which with a WC. On the second floor: a 100Sqm office, a bathroom with WC and a gym. There is a sunny terrace with a swimming pool and Jacuzzi. Attached to the main residence, the caretaker's house of 68Sqm is composed of a kitchen, a dining room, two WC, a bedroom, a living room and a bathroom. An amazing vaulted cellar with controlled temperature can be found in the basement. Two garages complete this offer. Transaction fees to be paid by the seller.